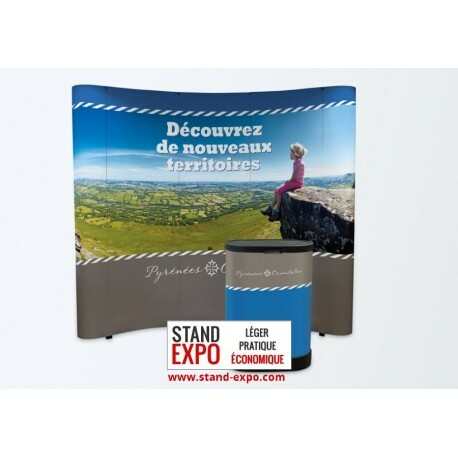 Comsisting of a reception counter and of a XXL wall this stand will bring you an exceptional visibility. 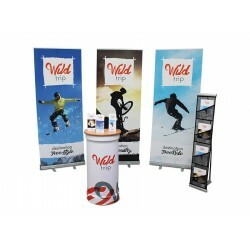 Built up in a few minutes, it will allow you to attract your prospects / customers to your stand. 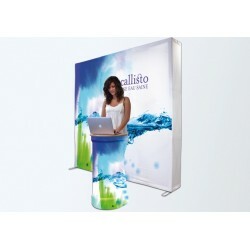 By buying this product you can collect up to 141 loyalty points. 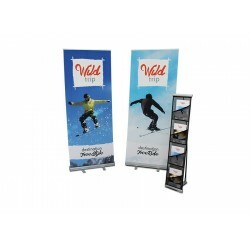 Your cart will total 141 points that can be converted into a voucher of 28,20 €. 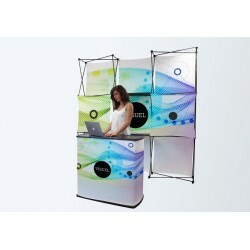 This all-inclusive stand consists of a reception counter and a XXL wall. 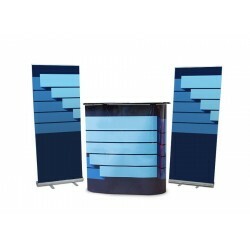 It will allow you to highlight your sales offers in very little time thanks to its speed of assembly. 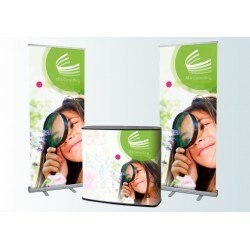 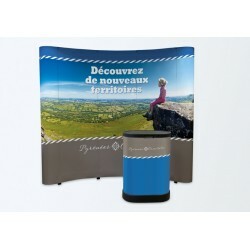 The XXL size of the wall will surely catch the eye of the prospects / customers on your stand. 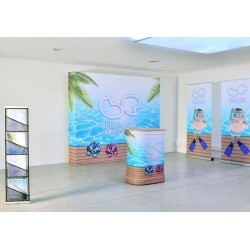 1 415,90 € tax excl.